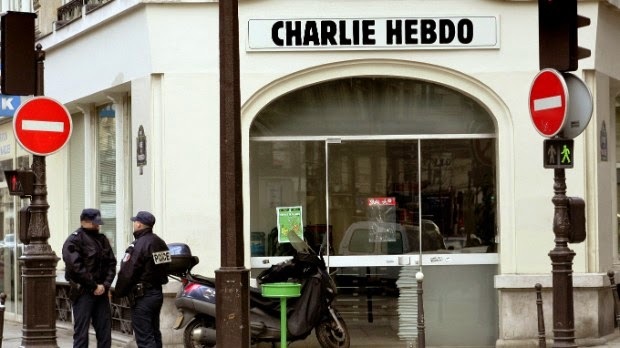 Attacks on Charlie Hebdo Magazine which earned fame by publishing blasphemous cartoons of Hazrat Muhammad (ﷺ) and murder of the cartoonist, editor of the magazine and other employees of the magazine was condemned by the Muslim countries because Islam does not allow any person to take the law into hands on individual basis. Moreover such an act of killings was also against the teachings of the Islam; but anti-Islam rallies and remarks given by some elected representatives of few Western countries forecast that what type of challenges and difficulties Muslims will have to face in the West as a minority. 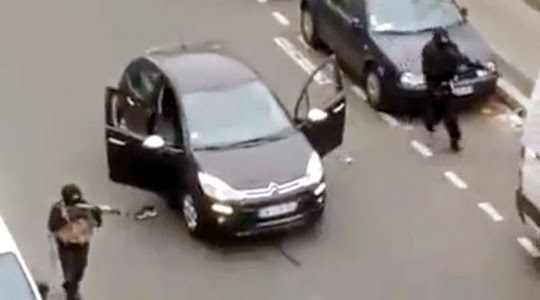 The attacks on Charlie Hebdo Magazine was given coverage by Western Media for a week, although the attacks over Mosques in France, Germany and other so called Civilized European Countries had started from the second of the attacks but Civilized and Free Western Media avoided to report such attacks. However, after 11 January 2015, rally taken out to express solidarity with the victims of Charlie Heddo Magazine attack, when the anti-Islam sentiments got fierce and people started talking openly against Islam, rally in Germany was taken out against Islam then CNN and DW started reporting the incidents of attacks over mosques in Europe. The painful aspect of this situation is that keeping in view the anti-Islam sentiments and appreciation by Public, Charlie Hebdo Magazine furthered its enmity towards Islam; at the time when I was writing these lines more than 3 million copies of the blasphemous magazine had been sent to the market while 2 million copies had been ordered for printing. Magazine had proudly announced to publish blasphemous cartoons once which will of course result in the protests in the Islamic world but what about those Muslim rulers who visited Paris in order to express solidarity with Charlie Hebdo and participate in the state rally held on 11 January 2015. There these Muslim rulers chanted slogans along with participants of the rally, "JE SUIS CHARLIE" “Yes, I am Charlie Hebdo”. At this time Western Media should have highlighted those series of acts about which Turkey had pointed out that Europe should control its “Islamophobia” in a reaction towards attacks over the magazine but Civilized Western Media telecasted the attacks as Islam VS Europe. Turkey had rightly said that she is against all types of terrorism but Europe will have to control its rising anti-Islam mindset and racism. Because from the last few years not only the covering of head with scarf by Muslim women is being insulted but government is encouraging it. Europe is teaching Muslims to tolerate blasphemous cartoons (which can be more properly termed as Published Terrorism of West) in the name of freedom of expression but so called civilized West is not ready to accept and respect the sentiments of the 1/3rd population of the world i.e. Muslims half of which are living in the Sub-Continent. Nexus between RSS and BJP in India is threatening Muslims of India either to leave Islam or India claiming Hindu Extremism as real Identity of the Hindu India and also leaving no stone unturned to prove Pakistan as a terrorists state in which she is fully supported by Terrorist Western Media as they do not let go any chance to blame Pakistan for acts of terrorism all over the world. When people would protest against the blasphemous activities of blasphemous magazine in Pakistan the so-called moderates will not hesitate to term these protests as extremism. Should Pakistan’s remain silent over the blasphemous activities of the West due to the fear of anti-Islam and anti-Pakistan policies of India and hypocrite behavior of West? Protest against the increasing terrorism (blasphemous activities) of the French Magazine and France are our duty. US Foreign Minister after return from his Bharat Yatra (visit to India) wants actions against all these religious organizations including Lashakar-e-Taiba (LeT) from which only India have complaints while India had no solid evidence against these religious organizations for being involved in RAW’s own terror attacks within India while USA and India both are pressurizing Pakistan of the basis of their propaganda machinery. In contrast to this despite of the unprovoked firing over Pakistani border areas and solid evidence of involvement of India in terrorism in Pakistan via Afghanistan; USA is not ready to stop its toddy i.e. India. Actually this is the hypocrite and dual standard behavior of the Jewish and Christian West that had made the lives of Muslim countries miserable and hard. The killing of Charlie Hebdo crew in terrorist attacks will bring what type of hardships for Muslims in the future this would be disclosed by the time but till then just like 9/11 drama; many bitter realities and “INNER JOBS” would be disclosed as well. Until now many questions has been raised as ISIS (داعش) claims the responsibility for the French attack while Al-Qaida from Yemen wants to get the credit while USA says that (her) Al-Qaida has no link with this attack. US media is also reporting that terrorists killed in this attack were since long in contact with French Intelligence Agencies. Moreover, in the way the whole action was captured from Cameras in different windows of the buildings shows as filmmakers were given their places in advance. The raising of Slogan “Allah o Akbar” by a terrorist on a deserted road, leaving behind identity by a terrorist trough which Police reached to the Sharif Kochi and Syed Kochi, the presence of terrorists around the targeted building of the magazine for 15 minutes but police did not target and kill them all these questions raise suspicions. The wonderful theory of a women namely Hayat’s involvement in the attack, then freeing her under the cover of hostages and then theory of her fleeing away to Syria via Turkey. What were the reservations behind showing the dead bodies of the killed terrorists? Why Western Media only showed the mourning for Jews only while a Muslim was killed as well in the attack? 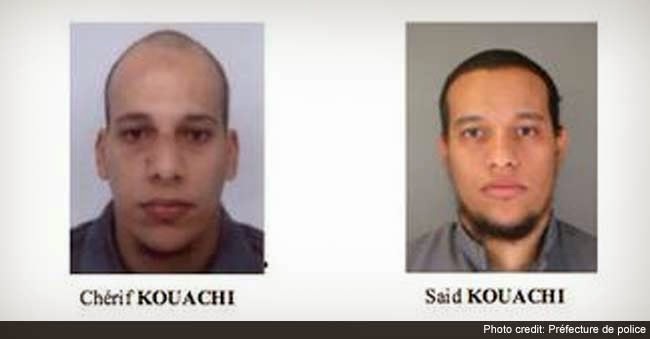 Why terrorists were wearing the masks when they were aware that they will find no place to hide in France; why did not they planned their evacuation? French Parliament’s vote in favor of Palestine, New York Time’s reporting it as, “Symbolic Vote in France Backs Palestinian State”, French leader’s visit to Russia and demanding USA to end sanctions over Russia due to Ukraine dispute. No one mentioning the cartoonist who made a cartoon saying "No attacks yet in France. Wait we have until the end of January to send you a new year wishes” in an edition of Charlie Hebdo raises many questions… But do not bother to waste your time for all these bitter realities because ‘BLAME FOR EXTREMISM IS ON PAKISTAN’!! !